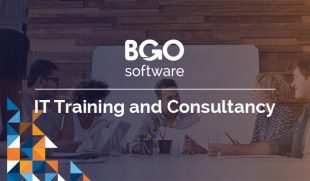 Home Company News BGO Software a Leader for Software & App Development in Bulgaria! 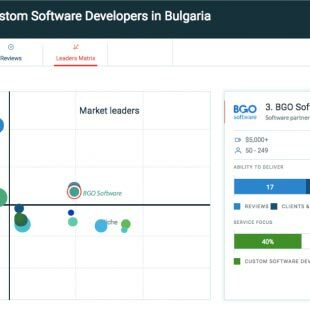 We are happy to announce our inclusion as a leading B2B company in Bulgaria by Clutch in their annual press release of the top firms in Eastern Europe. Clutch is a research, ratings and reviews firm based in Washington DC that ranks business to business firms across 500+ industries, from call centers to software developers. Clutch’s platform provides buyers the ability to compare firms based on client feedback, market presence, and industry recognition; we’ve been recognized as an industry leader due to positive performance in these attributes. We were also featured by The Manifest, on their shortlist of the top app developers in Bulgaria. 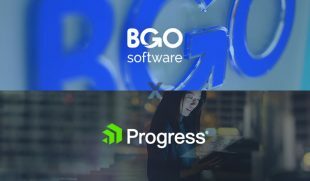 The Manifest is Clutch’s sister website that provides insights on business news and industry lists, and we are pleased to receive recognition on both platforms. 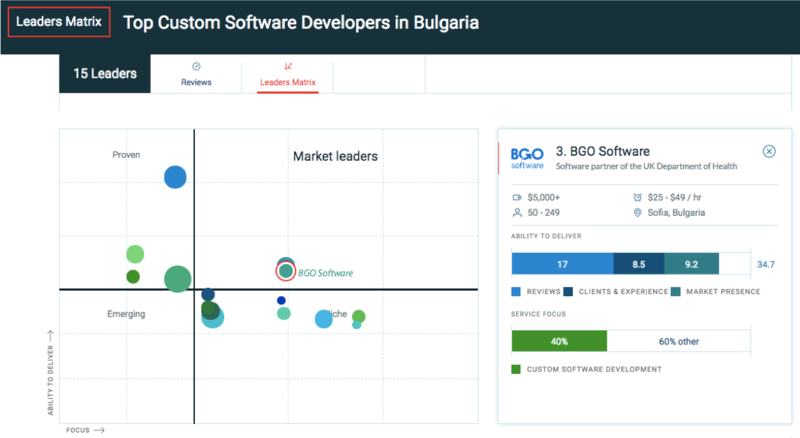 We look forward to helping more companies streamline their business, further improving our position as a leading software development firm in Bulgaria. 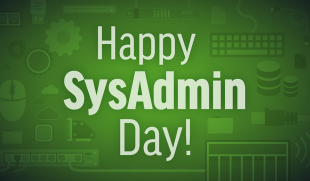 If you’re interested in hearing more about our work, check out our Clutch profile or see our wide range of projects in our portfolio.